Playing teaches children how to think, imagine and express themselves. Play is one of the primary ways young children learn about how the world works. Parents are their young children’s favorite toy. Play helps children practice putting their thoughts into words. Play helps children learn to problem solve. Play with your baby’s hands and feet. Count toes and pretend to eat them up; kiss fingers. Use your face as a toy. Show your baby all the things your face can do. Let your baby use books like toys, as things to discover. Make toys out of empty boxes and other found items. Provide open-ended toys, such as wooden blocks, that can spark imagination. 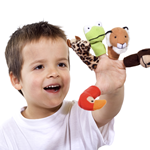 Encourage dramatic and pretend play by letting your child perform plays or puppet shows for you. Give your child plenty of unstructured playtime. Let your child dress up as a favorite book character. Ask questions that help her/him remember and retell stories. Check out these websites for great resources for literacy practice of playing. The following websites are great resources for the literacy practice of playing. Help the ODD squad turn the puppies back into agents. Help save Reader Valley from the Eraser. A variety of letter games from PBS Kids. A variety of reading games from PBS Kids. Online games that mix stories and activities that explore early literacy skills. Fun games and jokes and funny stories. Learn more about the resources found at the Library. Enjoy games like Alphabet Door and Make a Story in Mister Rogers' neighborhood. Help Chef Leo make delicious food in his crazy kitchen. Help Sunnie learn the alphabet with her fun game Letters A to Z..
A variety of number games from PBS Kids. Play the Alphabet Order game and choose the letter that comes next.